Mon., June 4, 2018, 6:25 p.m.
California – which, for all intents and purposes, is a separate nation-state, like Texas or the NCAA – is in the process of declaring surfing as its official state sport. First the immigration issue, now this. The California state assembly passed the surfs-up! bill last month, 62-4. It now goes to the state senate, and if it passes there, to the governor’s desk for signature. Correction: The true heritage of our state is the nail salon/ minimart/ Thai carryout/ laundromat strip mall. But, indeed, skateboarding originated in California, and far more Californians skateboard than surf. Skateboarding is more geographically accessible than surfing, more economically accessible and more logistically accessible. You ever try to take a surfboard onto a city bus? Sure, California hosts the U.S. Open of Surfing, the Surfers’ Hall of Fame is in Huntington Beach and the state has 1,100 miles of coastline. It also has 394,000 miles of roadway, so why isn’t NASCAR the official state sport? 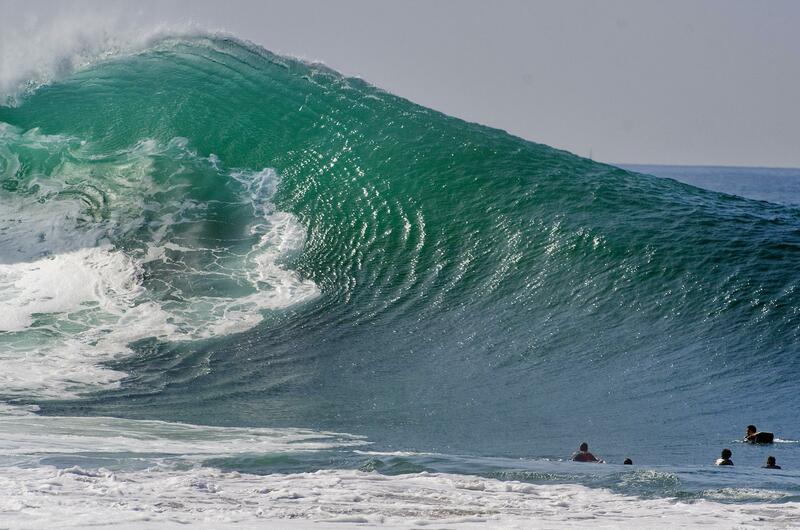 Besides, for all of California’s surfing credentials, Hawaii is the real deal. Surfing is already the official state sport there, and with good reason – Hawaiians were surfing before the Beach Boys rode their first wave. The state freshwater fish is the golden trout. Really? The yellow perch is more personable. The state tree, predictably, is the redwood. Really? I would’ve gone with the 3-wood. The state animal is the grizzly bear. Really? The red fox is livelier – and funnier. Incidentally, we invented the wetsuit; well, a Cal-Berkeley physicist by the name of Hugh Bradner came up with it in 1952. How come the wetsuit isn’t the official state insulator? By the way, are you folks familiar with “The Endless Summer”? I used to cohost “Reel Classics,” ESPN Classic’s weekly sports-movie presentation, with fabulously funny comedian Jeff Cesario. Just when Jeff and I thought we ran out of sports films, we discovered “The Endless Summer,” a 1966 documentary on surfing. Who wants to sit and watch90 straight minutes of surfing? I mean, I guess it beats watching 90 straight minutes of Rob Schneider in “Deuce Bigelow: Male Gigolo,” but, man oh man, freebasing Orville Redenbacher and Jack Daniel’s couldn’t save this baby for me. In conclusion – and I say “in conclusion” because this appears to be the end of the column – frankly, surfing is not even a sport. And, heck, if it is, then poker should be California’s official state sport. A. Shirley, please ban this man from future column access ASAP. A. Actually, the last time Roseanne sang “The Star-Spangled Banner” – at a 1990 Reds-Padres game in San Diego – she brought the entire crowd to its knees. A. Church bingo will take a hit. A. I don’t have a mirror. Published: June 4, 2018, 6:25 p.m.